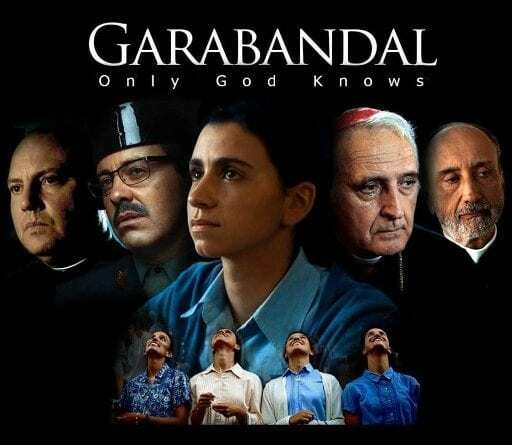 First movie about the apparitions of the Virgin Mary in Garabandal, Spain. Fr. Valentin, the village priest, and Juan Alvarez Seco, the Civil Guard brigadier, suddenly find themselves immersed in a series of events beyond their control. It was a Sunday afternoon, June 18, 1961, and four girls—Conchita, Mari Loli, Mari Cruz and Jacinta—in the small village of San Sebastián de Garabandal in Cantabria, Spain, sought a “little adventure” stealing apples from the school teacher’s tree. The tree was at the exit of the town, at the beginning of a steep and stony road that everyone knew as the Path. The Path led up to the mountain, toward the fields where the girls’ families worked hard to earn a living raising cattle. When they were on the Path, with the apples still in their hands, a peal of thunder made them shudder. It was strange, because there were no clouds in the sky. Their conscience began to reproach them, and regretting their mischief, they lamented what they had done. Suddenly, the unexpected happened. Conchita fell on her knees, motionless. Her companions became frightened, thinking that something bad was happening to them. They wanted to run to ask for help, but also fell with Conchita. An Angel appeared to them. Later on they discovered that it was St. Michael the Archangel. He did not speak, nor did they dare say or ask anything. When they came to their senses, they found themselves alone on the Path. The experience was so extraordinary that they felt overwhelmed by a mixture of confusion and fear. 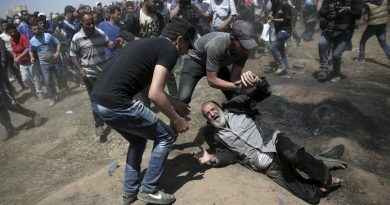 They ran to take refuge behind the parish church to let out their tears. It was the beginning of events that radically changed their lives and marked those of thousands. During the following days, the Angel’s visits were repeated. From day to day the visitors multiplied, coming from farther and farther away. Finally, on July 2, the Feast of the Visitation of the Blessed Virgin Mary at that time, they saw the Virgin for the first time, with the Child Jesus and two angels. One of the angels was recognized as the one who had been appearing to them, St. Michael the Archangel, and the other one looked identical. The girls began to speak with the Virgin with complete trust and without any fear. This will be one of the great characteristics of Garabandal: an authentic mother-daughter relationship between the Virgin and the girls. When Our Lady said that She had to leave, the little girls begged Her not to go. To comfort them, She promised to return the next day. And She did, not only the next day, but on hundreds of occasions, sometimes several times throughout the day and night. These apparitions to the girls in Garabandal continued for four years. The Virgin gave the girls two messages to make public: the first, on October 18, 1961, and the second, on June 18, 1965. The Virgin defined herself as: “your Mother.” That is her “title” in Garabandal: Our Mother. On July 18, 1962, numerous witnesses looked on with astonishment as the host Conchita received by hands of the Angel became visible on the girl’s tongue. This is what was later called the Miracle of Visible Communion. Through these four girls, the Virgin also announced the Warning, Miracle, and Chastisement, a series of events that come from the love of God for us and should move us to a deep conversion of heart. Qualified doctors and other visitors witnessed again and again the amazing physical phenomena that accompanied the ecstasies. Our mission is to work for the triumph. The Triumph of the Immaculate Heart is also the triumph of the Church. The Holy Father has understood and taught that She will bring the new springtime to the Church; then the faith will reappear, the Church will shine, and the heart of Christ will triumph. Our Lady asked us to be apostles of her messages and of her Son’s love. This ambitious work of evangelization could not be accomplished without Mystic Post’s patrons. It’s easy to donate. Choose your support level and become a Mystic Post patron today! 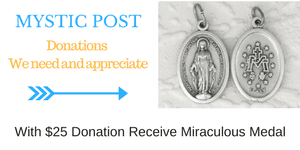 With a $25.00 donation receive a free miraculous medal. We can really use it – THANKS! You can make a contribution by credit card here via our secure paypal interface. You will receive an acknowledgment and receipt by e-mail. If you have any questions, or if you would prefer to give your credit card details over the phone, please contact us at 703-867-3447. We are truly grateful for any amount you can give to help us fulfill our mission. To Donate Online Click the “Donate” button. ← Prophecy Revealed? Catholic Bishops Produce New Film of the Mysterious Rebirth of Christianity in Russia. This phenomenon is the least understood Geo-political development on earth today and the most important. 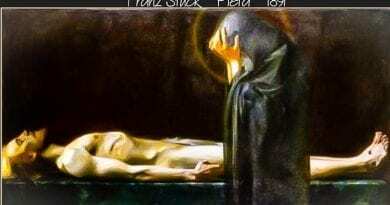 Our Catholic Prayers ~ From Where did They Originate? 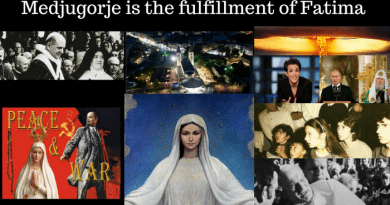 The Ten Secrets of Medjugorje and Sacred Scriptures…Jonah, the City of Nineveh, and the 40 Days of Warnings. 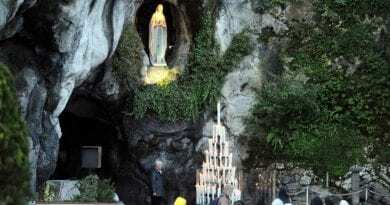 November 25, 2018 ryanmysticpost Comments Off on The Ten Secrets of Medjugorje and Sacred Scriptures…Jonah, the City of Nineveh, and the 40 Days of Warnings. 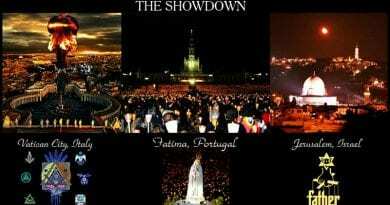 The Secrets of Medjugorje … “The end of the world? “Not really” Say the Visionaries – “But rather a new beginning”. Friday 6th April 2018.. Today’s Holy Gospel of Jesus Christ according to Saint John 21:1-14. 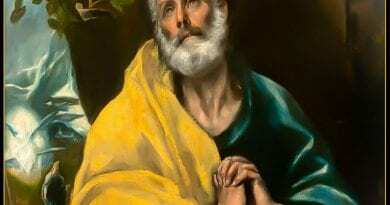 April 5, 2018 ryanmysticpost Comments Off on Friday 6th April 2018.. Today’s Holy Gospel of Jesus Christ according to Saint John 21:1-14. Song Taking Christian Music By Storm “Come to the table…Take your place beside the savior” .. Sidewalk Profits.. Goosebumps! January 30, 2018 ryanmysticpost Comments Off on Song Taking Christian Music By Storm “Come to the table…Take your place beside the savior” .. Sidewalk Profits.. Goosebumps!